Kusmi has been in my hands before. This tea company was first established by Pavel Michailovitch Kousmichoff in St. Petersburg in 1867 but due to Russian revolution in 1917 they relocated to Paris where the headquarters are. 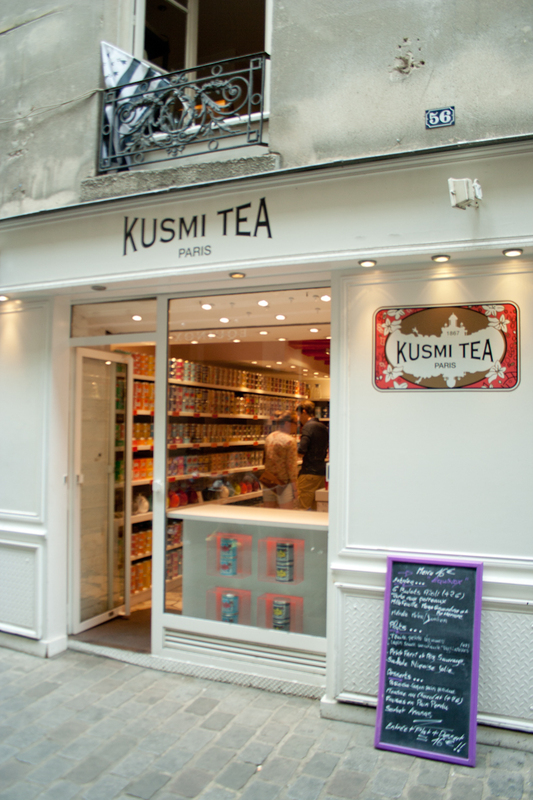 If you find yourself wandering in Le Marais district in Paris, you will easily find Kusmi shop on Rue des Rosiers. 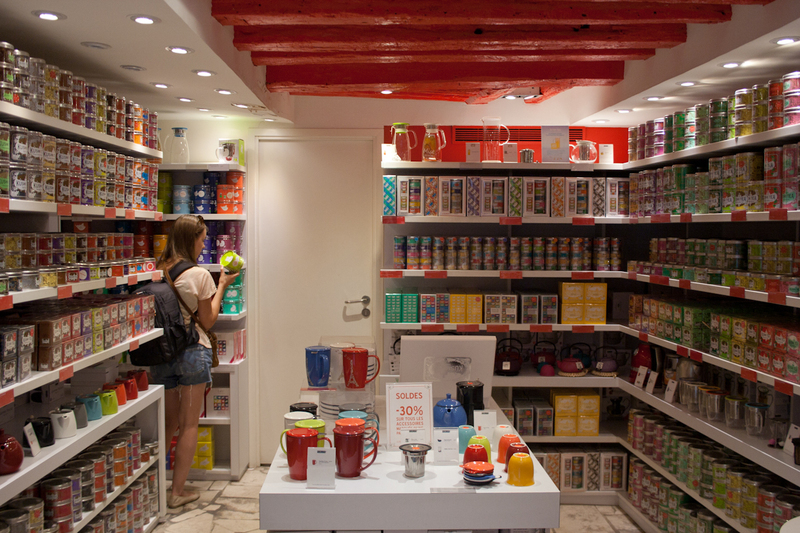 Kusmi produces a variety of blends and flavored teas including some wellness tea blends too. Last year I’ve tried their DETOX mix of mate, green tea and lemongrass (my blogpost here) which I’ve bought in a bakery-cafe “Sweet & savory corner” on the corner of Chaussee de Waterloo and Chaussee de Charleroi that serves and sells Kusmi teas in Brussels. If flavored tea is your cup of tea, then this is why you should look for Kusmi. Marketed in Russian style scented blends are created using Chinese, Indian and Ceylon black teas as well as green, white and roiboos. Kusmi teas are available in tea bags or as loose leaf tea sold in metal tins of various sizes. They have also introduced a line of ecological teas called “Løv Organic”, a word borrowed from Scandinavian languages (løv means leaf). The concept of this tea was inspired by Scandinavian lifestyle that is much about respecting the environment and living a simple and minimalist life. So Løv Organic sells eco-friendly products in eco-friendly minimalist packaging (steel tins without plastic) that is encouraged to be re-used by customers. Teabags are staple- and glue-free and produced using organic fibers of corn. I’ve brought home organic white China tea scented with blackcurrant and peach, a blend which is fruity, delicate and slightly sweet in taste. 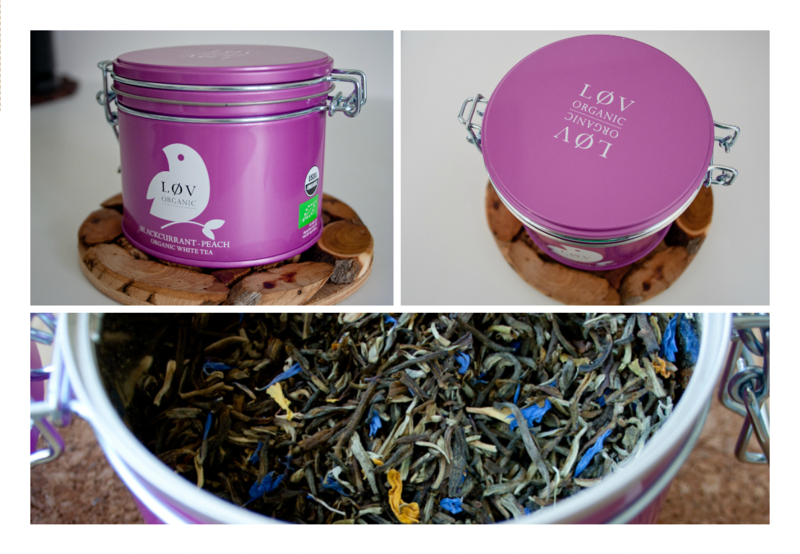 And I must say I fell in love with Løv Organic tins – great design!